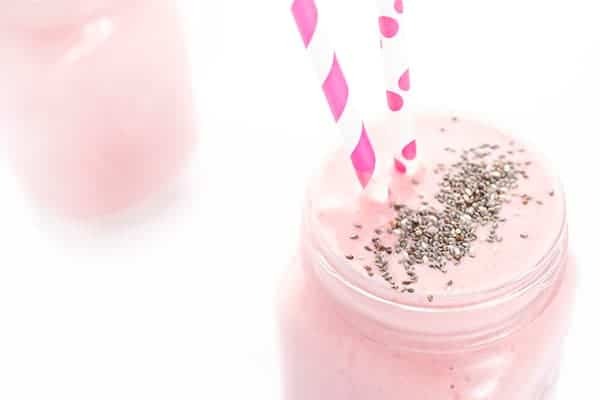 This thick and creamy strawberry banana protein smoothie is naturally sweetened, kid-friendly and great for busy mornings on-the-go! Smoothies are my jam. One reason I never get sick of my daily morning smoothie is because I’m always changing the ingredients based on seasonality. 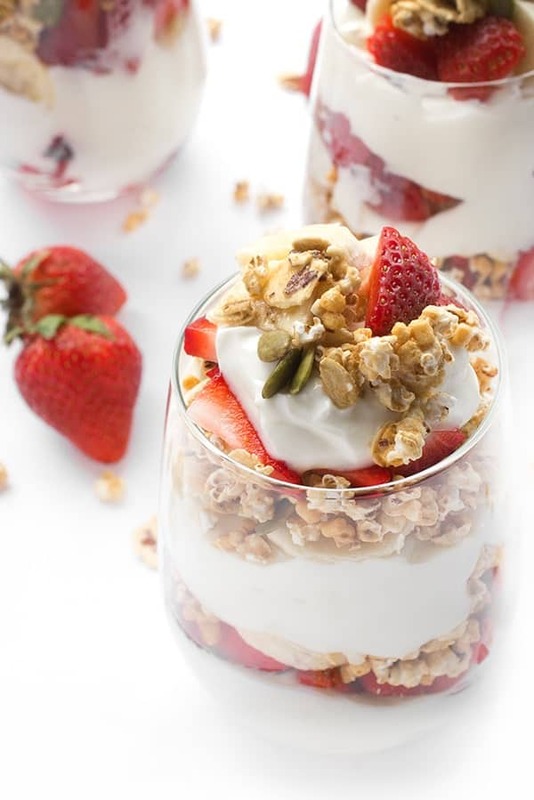 Spring has officially arrived which means strawberry season is right around the corner (or already here if you live in the south!) Ripe strawberries work best for this recipe because the only other sweetener is the banana. 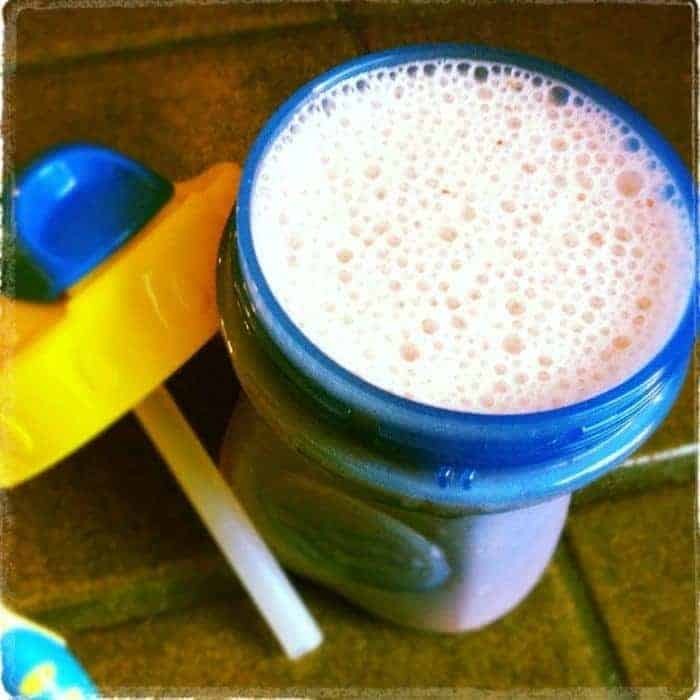 This recipe serves two (lately my oldest is on the smoothie kick!) but you can easily double it to serve four or cut it in half if you’re just making for yourself. If you don’t have access to fresh berries, frozen work great too. 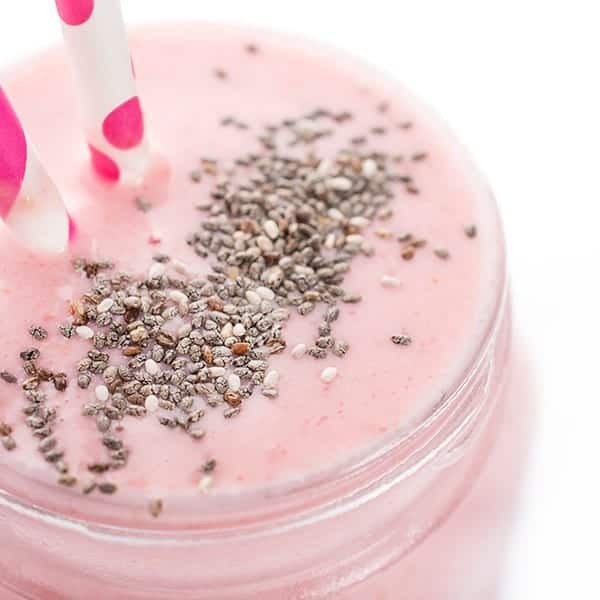 Chia seeds give the smoothie a little crunch and texture when sprinkled on before serving but they’re completely optional. Happy sipping! 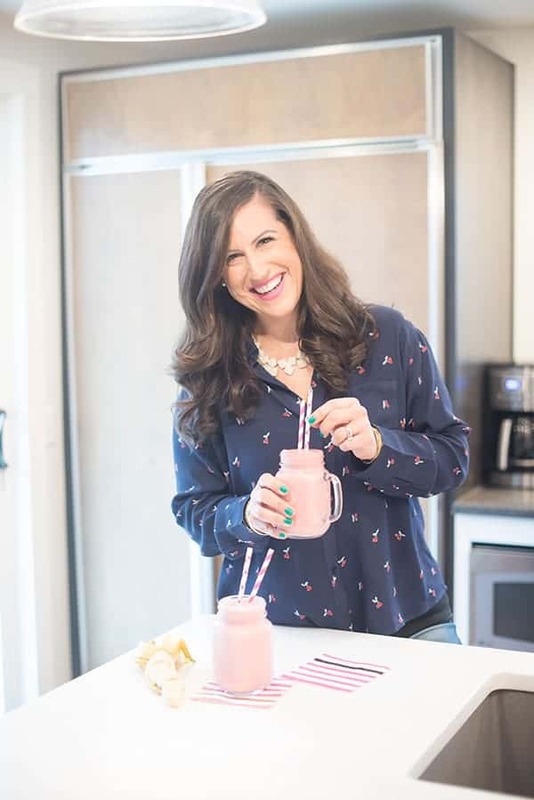 This thick and creamy strawberry banana smoothie is naturally sweetened, kid-friendly and great for busy mornings on-the-go! Place all ingredients in a high speed blender and puree until smooth. Feel free to add more ice for a thicker smoothie. 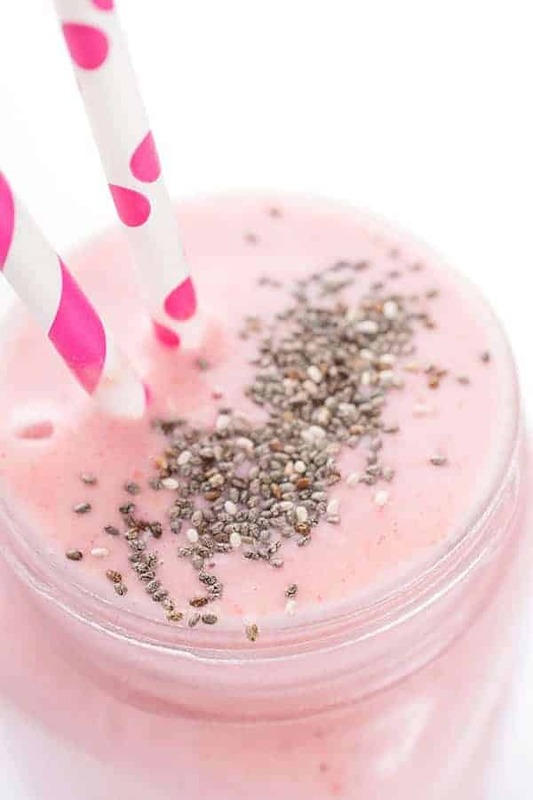 Serve in two glasses and sprinkle with chia seeds if you wish. Enjoy!